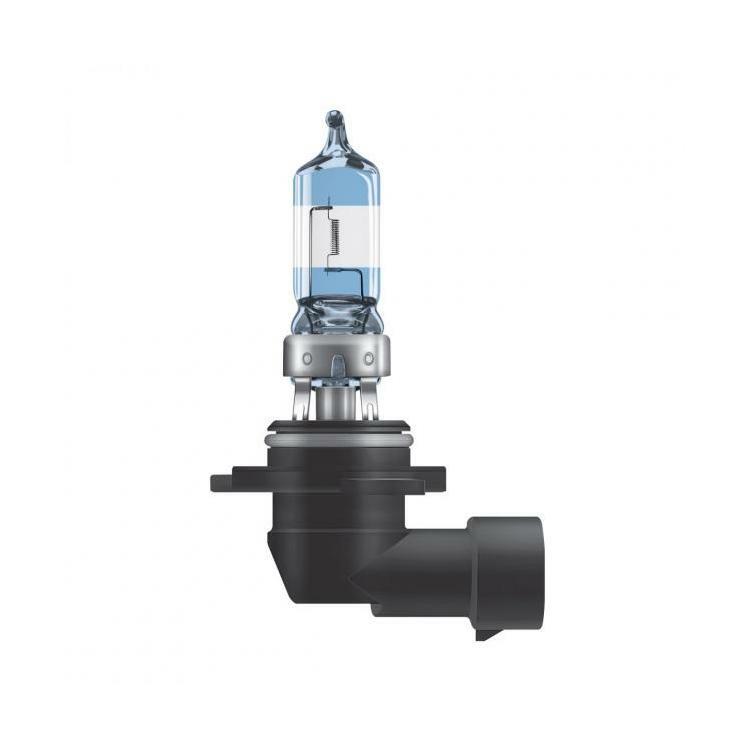 The maximum performance OSRAM Night Breaker Unlimited car globes are the perfect choice for those who want brilliant light output from their vehicle’s headlights. An increase in light output also means an increase in safety. With the Night Breaker Unlimited headlight globes, you’ll be able to spot distant hazards on the road in good time, at any point of the night. Upgrading your standard halogens to OSRAM’s Night Breaker Unlimited globes will give you a projection of up to 110% more light on the road, granting you massively improved vision and comfort when it comes to nighttime driving. Not only does the OSRAM Night Breaker Unlimited offer extra brightness, but the light projection is also much longer than standard, reaching an extra 35 metres ahead of a standard light beam. The Night Breaker Unlimited’s achievements truly leave the competition in the dark. Fitted these to upgrade the main beam illumination on my Hyundai i40 (2015 - onwards uplift). The OEM bulbs worked fine but did not provide the brightness I expected. Since Fitting the Night Breaker bulbs I have decent forward vision when using main beam, noticeably better than the OEM bulbs. Cannot comment about how long the bulbs will last have only used then for about 10 hours. Truly this bulbs are nightbreaker, brighter than my old one. Best price available, better than Amazon. Very good upgrade to any vehicle's headlights. Well recommended : both the bulbs ; value for money & quality service. This is my third transaction with: PowerBulbs ; their prompt response in delivering the goods to New Zealand is the best it can get ! Way better than stock items with better colour temperature without being overly blue. Good product,well packed and delivered on time. Bought a pair of these along with a pair of Philips Crystal Vision to compare the two before installation. Nice bulbs well packaged but I wasn't sure about the blue bands on the bulb itself, I wanted a white light not something with a bluish tinge. To my surprise they are very good and close to the HID dipped beams on the car, no sign of blue colour. Extremely close to the Crystal visions they would be my second choice just losing out a tiny bit on the sharpness of the beam. Much better than the original halogens fitted and worth paying a little extra for. Although Powerbulbs sell at a very competitive price look for a code if available to save even more. Having bought the Philips bulbs from their sister company (Car Bulbs Direct) I found I could have saved a little over £4 buying from Powerbulbs, having mentioned this in an email to the Company give them their due they immediately refunded me the difference...Well done. It's service like that from a Company that will make me recommend them to friends and certainly use them again in the future. Thank You. Excellent upgrade, I'm using these in my wife's LR Freelander 2 - great white light, projects well, definitely the go-to bulb. But ... I keep having to replace them. They don't seem to last very long - I get about 10 months from each bulb, and I'm careful to install them, no skin contact on the glass etc. Great bulb, disappointing longevity though. Big improvement,should be fitted as stock Lamp. I fitted he above Night breaker main beam headlights to a vauxhall Zafira 2005 model. the result was very good. The beam was stronger and longer which is what I needed as I live in Sweden and it is dark, no light pollution. It makes the drive safer and gives me a chance to see the wildlife a bit sooner! Very helpful on all aspects would really recommend. They do not appear to shine any fur than my old bulbs. A great bulb,this is the second time I've bought these from Powerbulbs,a very easy company to deal with and great products at just as great prices. I received the items in around 3 weeks which was Ok as i was in no great hurry for them. the package looked like it had come from half way round the world (which it had). fitting to my 2017 camry was easy. i noticed an obvious brighter whiter colour as i fitted one side and tested it against the original bulb on the opposite side. There was a slight improvement but I can't honestly say that i noticed a great improvement at night after fitting both bulbs. If i hadn't got the 20% discount which bought the price of two sets of bulbs (Head and High beam) down to what i would have paid for one set locally i probably wouldn't have bothered as my head lights weren't that bad to start. i have no complaints about the seller, i would double check from another source regarding the appropriate bulbs for your car as the site said my bulbs didn't suit my car, however they didn't list the 2017 model in my car (they had 2015 which is the same) Conclusion - Good bulbs for the price, will see what their longevity is like as time passes. These lights are fine replacements for the original headlight bulbs. I did not think they were any brighter but they were not any darker either. They work well with no problems on our 2013 LR Freelander. The OSRAM night breaker main Beam is truly amazing and a excellent service from Power Bulbs, what's not to like. Put them in my 2017 Honda Civic head lights much brighter than the standard bulbs and as unusual excellent service from the team at power bulbs . These are great bulbs which I highly recommend. Bulbs fitted on freelander2 without hassle. I have driven in the UK and France with clear illumination in front of me and no complaint from oncoming traffic.. Very pleased with the bulb upgrade. I accept that life of the numbs may not be as long as standard but if it helps to keep me on the road and I see clearly ahead that's fine with me. They do exactly what it says on the packet, don't know if you get the claimed 60% more light, but they were a great improvement over the standard bulbs in my Evoque. Excellent bulbs, brighter than standard halogen. Very good service from Power Bulbs. These are much brighter that the OEM halogens in my Sierra 1500. I had no idea how much the original halogens had dimmed until I installed the OSRAM Night Breaker replacements. Very quick delivery. Easily fitted and definitely seem whiter/brighter, but longevity remains to be seen. Bulbs are great! Service Was Excellent! The OSRAM NBU are very good bulbs. Much brighter than stock and slightly whiter. Just don't expect HID or LED whiteness or you will be disappointed. Do be aware of shorter life span with OSRAM NBU. Bulbs with really white light with blue coating actually cut out too much light output. Powerbulbs is arguably the place to buy bulbs on the Internet. First class service, packaging and good prices. 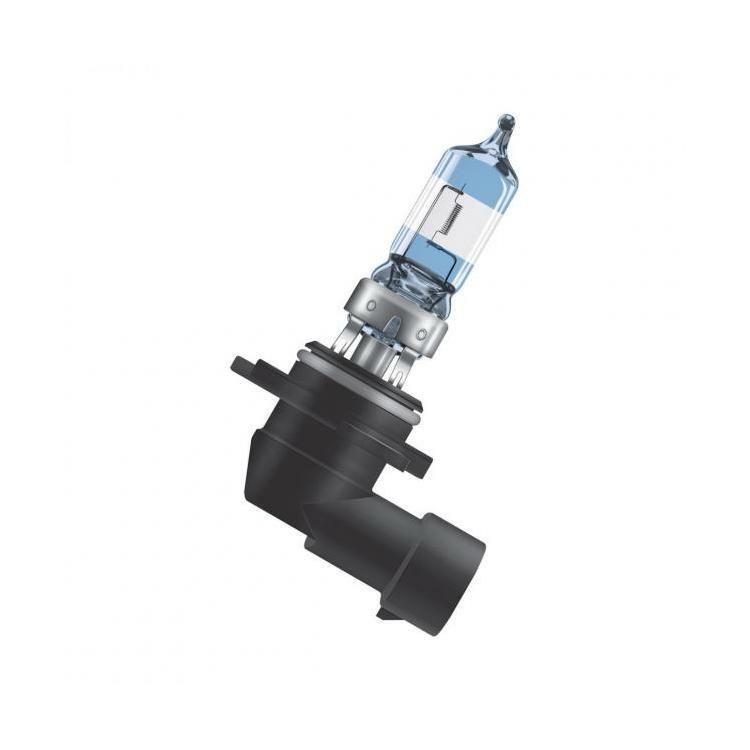 Great delivery times, these bulbs are great value and have used them on other cars. They really are good. Bulbs are super, super bright compared to the stock OEM. Shipping was insanely fast considering it took a few days to go from the UK to Canada. Highly recommended and will use again! Delivery to India was quicker than expected. I use these bulbs for my Honda city for high beam. I am extremely satisfied with the brightness and length of the beam it offers than the stock bulbs. If you want to improve the performance of your headlights without messing up with your car wiring then go for it. i purchased these globes as a replacement for the standard high beams fitted. What an improvement. Highly recommended. The service was first rate. They were delivered very quickly to Australia. Would definitely buy from Powerbulbs again. Great buy. Quick delivery. These globes are superior to the high beam OEMs in my Holden Colorado. I definitely recommend Powerbulbs. I am not much of a reviewer, but these bulbs are definitely much better than OEM's. Great lighting. You can't go wrong with these bulbs. Thanks Powerbulbs! Ordered 3pm and received 11am the next day, great service. Great improvement on the standard halogen bulbs, worth the effort doing. Definitely brighter and whiter than standard bulbs. Well worth the upgrade. Great service and price from Powerbulbs. The delivery was fast. Good product. I had Xenon HID lamps on my previous Freelander 2 and, unfortunately, they weren't an option on my recently purchased replacement model. I was very disappointed by the drop back to conventional halogen compared to HID. Changed to the Osram Night Breakers and was impressed with the improvement. They aren't as good as HID, but not far off, and a huge improvement over halogens. I haven't really noticed much range improvement if I'm honest but the improvement is noticeable in illumination standards compared to the factory fit halogen bulbs. This is the third car I have put these bulbs in I do 17,000 miles/year a fair bit in the dark and these give a lot more distance but more importantly you can see the kerb a lot better.So useful when the numpty coming the other way dazzles you.Full five stars and great service from the team as well. Have had these bulbs since October 2014 and would thougherly recommend them.The difference between the original bulbs for my mitsubishi outlander GX3 is outstanding,and also I am very impressed with the service that Patrick and his team provided. Bulbs offered a big upgrade from the factory bulbs, great product, easy to install, keep up the good work OSRAM! Osram fan here, I have them on multiple vehicles. These night breakers are a nice white light and do extend the range of my hi-beams. Very Bright and Clear over OEM, don't hesitate to purchase! Fastest shipping as well. I was hesitant to purchase a product from a company outside the US however PowerBulbs delivered very quickly. Product was packaged very well and the lights are super bright. I would do business with them again. Yes does exactly what it says on the tin more light and a good spread very pleased with my purchase. Great quality bulb + light range is far superior , - easy to install . toss the awful yellowish look of the original bubs. 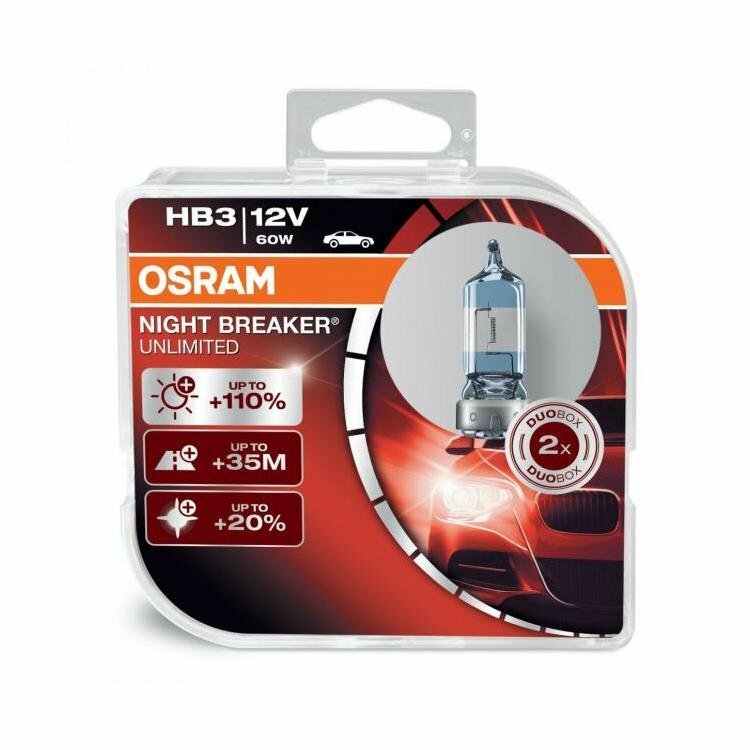 Purchased Nighbreaker Unlimited HB3 for the high beam of my 2014 Honda City (India) after reading many good reviews online. The bulbs were delivered in 5 working days flat via std courier. Packaging was very good. Full marks here. Using them for a month now. While they certainly are better than the stock bulbs, the improvement in illumination is not as much as what is claimed. Better than stock? Yes. Met my expectations? Not really. Worth the money? No. The HB3 Night Breaker bulb didn't have quite the down range lighting I was expecting but bettter than OEM bulb. Lots of critters crossing our roads at night. Far and away the most dangerous aspect of nightime driving in the western U.S. These bulbs worked very well in a heavy nightime snowstorm. Good stuff. The bulbs are awesome compared with the OEM bulbs, so I feel better about driving at night. I live in Canada and order/receiving the bulbs was easier and faster than ordering from a on-line Canadian supplier. I was told 7 days and they arrived in 7 days. The other thing is the cost of the bulbs. They were half the price of a North American suppler with no shipping charges. NICE WORK POWERBULBS. Excellent quality at a very competitive price. Australian country roads are very dark with plenty of wildlife providing unwanted hazards for the motorist. The performance level of these bulbs is outstanding. With each new vehicle I always re-bulb with globes from Powerbulbs and have always been very satisfied with their products and customer service. I am a satisfied customer.